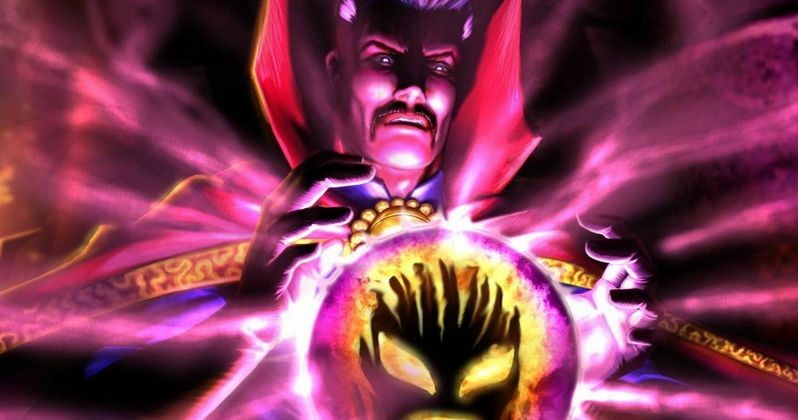 According to Devin Faraci, the editor of Badass Digest and the man responsible for a number of Star Wars: Episode VII spoilers last week, Marvel's upcoming Doctor Strange will not include an origin story. This, of course, has not been confirmed by Marvel or Disney at this time. The screenplay will instead begin in 'the midst of things' with Doctor Stephen Vincent Strange already a superhero. Faraci explains that Marvel has had a screenplay for a very long time, which included Baron Mordo as the villain. But new screenwriter Jon Spaihts has thrown all previous drafts out, as Marvel plans to not make any more origin movies for it's upcoming characters as it heads into Phase Three. "So, for Dr. Strange they've had a script in-house forever. It is a pretty standard origin story for Doctor Strange. It's got Baron Mordo as the bad guy. That's all gone. Marvel's new thing is no more origin stories. So, Dr. Strange movie no longer has an origin. It begins in medias res. It has Dr. Strange already established as the Sorcerer Supreme. It is a totally new script. Jon Spaihts is working totally new, on his own, without any of the previous stuff. Not even touching the previous script." While some movies spend their entire run time setting up a given superhero, with the fully realized and costumed character appearing for only the last twenty minutes, Devin Faraci promises Doctor Strange will not fall into that trap. "This is not going to be twenty-minutes of him being a doctor." Doctor Strange will follow the story of a former neurosurgeon who serves as the Sorcerer Supreme, the primary protector of Earth against magical and mystical threats. It is not yet known which Marvel villain may replace Baron Mordo, whose abilities are similar to those of Doctor Strange. He is skilled at astral projection and hypnosis, as well as mesmerism. The evil Mordo became an main foe of Doctor Strange, serving as one of Strange's primary antagonists early in his career as Sorcerer Supreme. It's still possibly that the character could appear in the movie.